Hawaii is known for its beautiful beaches, friendly natives, unique culture, and amazing landscapes, with each island making up the Aloha State having its own distinctive scenery and charms to set it apart from the rest. Many people who visit Hawaii will spend a lot of their time on the Big Island or over on Oahu, but the island of Kauai is also definitely worthy of a visit, especially if you happen to be a nature lover or wildlife enthusiasts. Home to the wonderful Waimea Canyon State Park, Kauai is the fourth biggest of the Hawaiian islands and is also technically the oldest, geologically-speaking. Nicknamed the 'Garden Isle' for its amazing natural beauty and large swathes of wilderness, Kauai only has a small population, being home to less than 70,000 people at the last official count. This island has been used as a filming location for movies like Pirates of the Caribbean: On Stranger Tides and Raiders of the Lost Ark due to its unique beauty and is regarded as one of the most pristine inhabited islands anywhere on the planet, home to amazing cliffs, mountains, coastal areas, forests, and more, with the Hanalei River, the Na Pali coastline, and the Kalalau Valley standing out as a few of the very best locations to admire and appreciate. Kauai is a very popular spot with backpackers and people who like to travel off the beaten path, but you won't find many big resorts of fancy hotels here. Instead, you can stay at some good guesthouses and hostels if you choose to visit Kauai, with these forms of accommodation offering simple rooms and basic comforts at low prices. 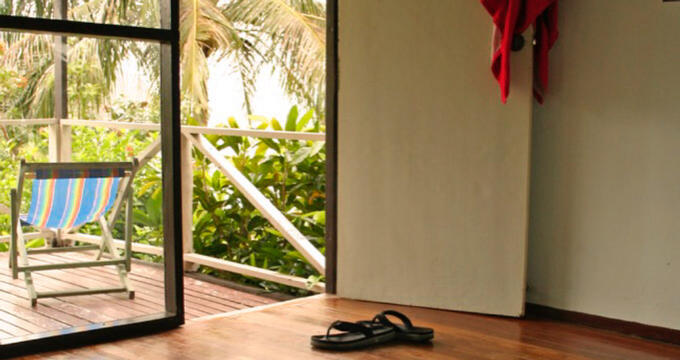 Read on to learn all about a couple of the best hostels on Kauai. Situated in a prime spot, just off the scenic Kuhio Highway along the eastern coast of Kauai, the Kauai Beach House Hostel is a great place to rest your head for a few nights while visiting the island of Kauai. You'll find a warm welcome and good service at this location, which has been beautifully laid-out and decorated, and also happens to feature one of the most chilled-out, laid-back vibes you could ever hope to find in a Hawaii hostel. The Kauai Beach House Hostel offers wonderful views of the Pacific Ocean and features both private rooms and shared dormitories, so you'll have the choice of accommodation style depending on how you're traveling and who you're traveling with, although the number of private rooms is very limited so you'll need to book early if you're hoping to have that extra privacy. The hostel itself features a communal kitchen space to prepare meals with your fellow travelers, as well as a wonderful rooftop terrace with lots of comfy seats and tables to hang out in the evenings and watch the sun go down. It's also only a couple of minutes away from the beach, so if you're heading to Kauai to do some surfing, swimming, or sunbathing, you'll find this hostel to be one of the best. A simple hostel in a good location on the eastern coast of the island, Honu'ea International Hostel Kauai is another excellent place to stay during your trip to Kauai. The main advantage of this hostel is its prices; you really won't have to pay big bucks to stay at the Honu'ea International Hostel Kauai, so you can spend a few days here and really enjoy the local area, heading over to the beach in a matter of minutes, without eating into your travel budget. This hostel offers both private rooms and shared dorms, so if you don't mind sharing with other travelers and perhaps even making a few new friends, this is a good option, but you can choose to have a little extra intimacy if you prefer. All rooms featured shared bathrooms, and you'll also find a shared kitchen and dining space with lots of storage, multiple refrigerators, and lots of useful cooking equipment too. The bed linen is clean and the rooms are all decorated with nice, bright tones to reflect the lively nature of the local neighborhood and make everyone feel right at home. You can also borrow snorkeling gear direct from this hostel, which is a nice little bonus, especially if you plan on taking a trip out into the ocean and down beneath the waves to see what you can find.